As told in "Beyond Transparency"
BrightScope is a financial information and technology company that brings transparency to opaque markets. BrightScope data drives better decision-making for individual investors, corporate plan sponsors, asset managers, broker-dealers, and financial advisors. BrightScope is the leading independent provider of retirement plan ratings and investment analytics to participants, plan sponsors, asset managers, and advisors in all 50 states. BrightScope built the first comprehensive and publicly available directory of financial advisors in the US. We help investors find a financial advisor and complete their due diligence. BrightScope Co-founders, Mike and Ryan Alfred, and Dan Weeks come together to form the business. BrightScope receives first batch of data directly from the Department of Labor reading room in Washington, D.C.
BrightScope website launches with 1,000 BrightScope Ratings for defined contribution retirement plans. BrightScope hits 30,000 rated retirement plans milestone. BrightScope launches Advisor Pages, a searchable online directory of registered investment advisors and brokers. BrightScope raises nearly $3M in capital to fuel efforts to bring transparency to financial services marketplace. BrightScope launched AdviceMatch, a marketplace that connects investors with advisors based on their unique needs and preferences. We started out a small team as most disruptive start-ups do, but have since grown to over 70 employees. The BrightScope team remains nimble, hungry and dedicated to bringing transparency to the financial services marketplace. A healthy team is a successful team, and at BrightScope we take our health seriously. Each employee has the opportunity to particpate in our Wellness Program and earn points and health insurance premium discounts as incentives to stay healthy. Afterall, a healthy body means a healthy mind, which equals top-notch employees and great service! Asset managers are the second most prevalent type of record keeper, with roughly a 31% market share, according to the ICI-BrightScope data. Since they are more concentrated in the large market, though, they control the most assets of any type of record keeper, at 54%. 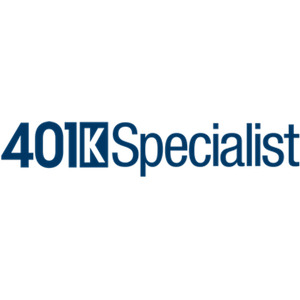 How Are 401k Plan Sponsors ‘Encouraging’ Participation? Employers are using a range of plan features and “a diverse mix of investment options” to encourage retirement saving among their employees, according to new research from BrightScope and the Investment Company Institute. Their study shows that large plans have ramped up target date fund offerings in their investment lineups, and that most plans are offering employer contributions and loan features. Using 5500 data and BrightScope’s Defined Contribution Plan Database, it finds that plans also are increasingly using auto-enrollment to boost participation. Large plans have ramped up their target-date fund (TDF) offerings and most plans are automatically enrolling participants, offering employer contributions and making loans available, according to the report, created by BrightScope, a Strategic Insight company, and the Investment Company Institute (ICI). The report is based on an analysis of the Department of Labor’s (DOL’s) publication of Form 5500 data. Volunteering within our community is an important facet of our mission. Feeding America San Diego is committed to solving hunger in our community and informing the public on the issues of food insecurity, nutrition, and poverty. We fight hunger locally by working hand-in-hand with partner agencies, local school districts, corporate partners and a network of volunteers to serve 56,000 children, families and seniors in need each week. Sign up to receive featured articles from industry experts, product updates, and more from BrightScope.